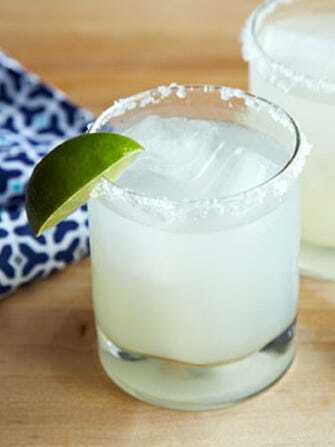 When we told you how to make the perfect margarita, we reminded you of the ever-important rule to always, always use fresh lime juice. With this year's lime shortage, however, that may be a problem. We are currently in the thick of The Great Lime Crisis of 2014, only a few short days away from Cinco de Mayo. We know, this is sour news, indeed. It feels like someone's taking the whiskey out of the Kentucky Derby, and all you're left with is a bunch of sober rubes in stupid hats. Where did they all go, you ask? The simple answer is that the U.S. doesn't really grow limes anymore (your backyard tree notwithstanding). We typically import them from Mexico, where they've faced a year of disease, poor weather conditions, and a drug cartel called the Knights Templar. The cartel operates out of Michoacán, where limes are a major crop, and where lime trucks get hijacked as a matter of course. In response to the shortage, lime prices have gone up — as have the cost of mixed drinks, ceviche, and everything else that requires that certain citrus tang. The Wall Street Journal reports that a 40-pound crate of Mexican limes currently wholesales for about $100, which is four times its typical price. "By weight, Mexican limes are commanding a higher price than Mexican crude oil," the Journal writes.